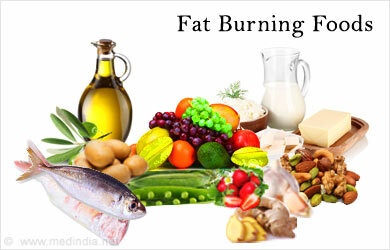 A fat-burning diet consists of natural foods, which help the body lose fat. These fat-burning properties are prominent in certain foods due to the presence of some substances that spike the body’s metabolic rate. Also they need more calories to be broken down in the digestive tract. Many types of fruits, vegetables and nuts are effective fat-burning foods. Others include low-fat dairy, eggs, lean meat and seeds. One of the best diets for burning fat is the ‘fat-burning soup diet’. This is a diet program where fat-burning soups are consumed every day for up to a week along with certain fruits, vegetables and meat. This helps the body lose fat really fast. If you plan to diet to burn fat then, instead of starving yourself eat heartily to lose weight. The trick is not to starve, but to eat fat-burning foods. Starving has never worked anyway! Here are some highly-effective fat-burning foods. Fruits: apples, strawberries, blueberries, avocadoes, oranges, grapefruit.